We create captivating trade show displays, experiences and event promotions that attract the attention your brand deserves. We offer the best in fabric tension, modular and outdoor models with a local team who has been constructing quality displays since 1983. From basic banners and signage to full-scale booth design and promotions, our creative and constructive trade show technicians can help you stand out amongst the crowd at your next event. From the most economical to the most extravagant trade show displays, dream ink will concept and create the perfect booth to build brand awareness. From the pre-promotion to the presentation, event experience and follow-up, dream ink excels at building engagement through innovative displays and interactive media. 81% of trade show attendees have purchasing authority. 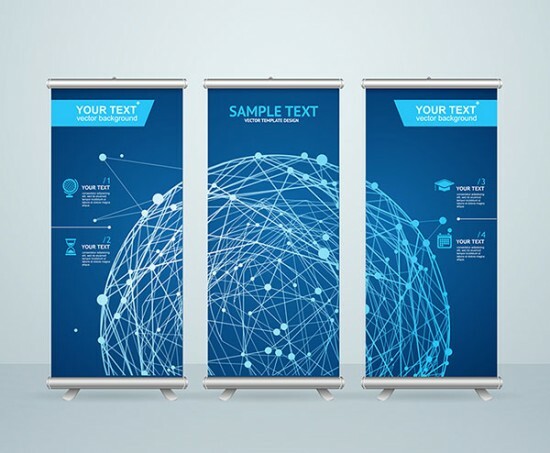 Make the most of this valuable opportunity to impress your ideal buyer with a high perceived value of your brand with a unique and memorable trade show experience, informative presentation and memorable logoed handout. Our trade show technicians specialize in creating high-impact portable and modular displays, custom island exhibits, and monumental brand experiences through event marketing. Contact us today for a free consultation. Your goal at any event should be to leave those most interested in your products and services with not only a memorable trade show experience, but also something tangible to remind them of your meeting weeks later when they are ready to buy. Call today for promotional product ideas to keep your logo and contact info in attendees hands long after they’ve left your booth!